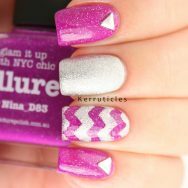 These pink and silver zigzags were painted quite some time ago now, back when my nails were a bit shorter. 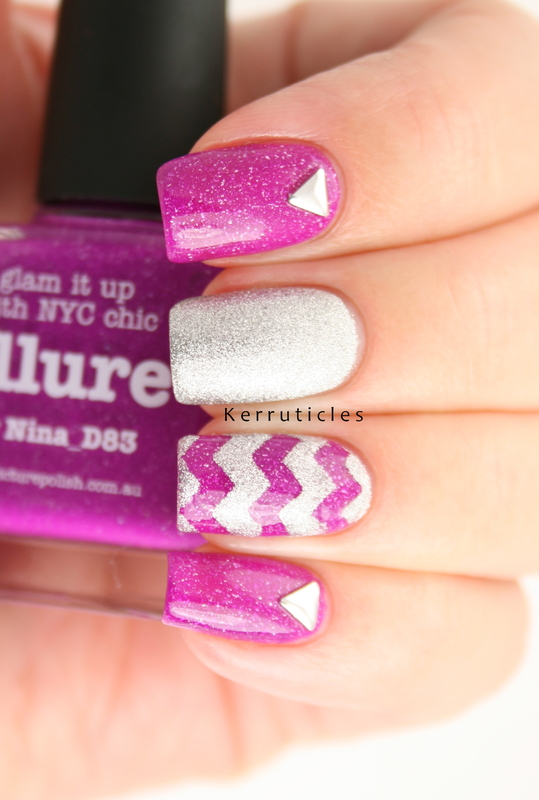 I used a base of piCture pOlish Allure, which is a bright magenta pink with a scattered holo. My photos don’t show the beautiful holographic effect sadly. I teamed it with OPI This Gown Needs A Crown, probably my favourite and certainly my most used silver nail polish. 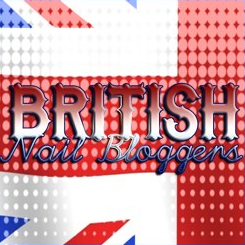 It’s lovely used just as a single accent nail, or like here, as part of an overall look. 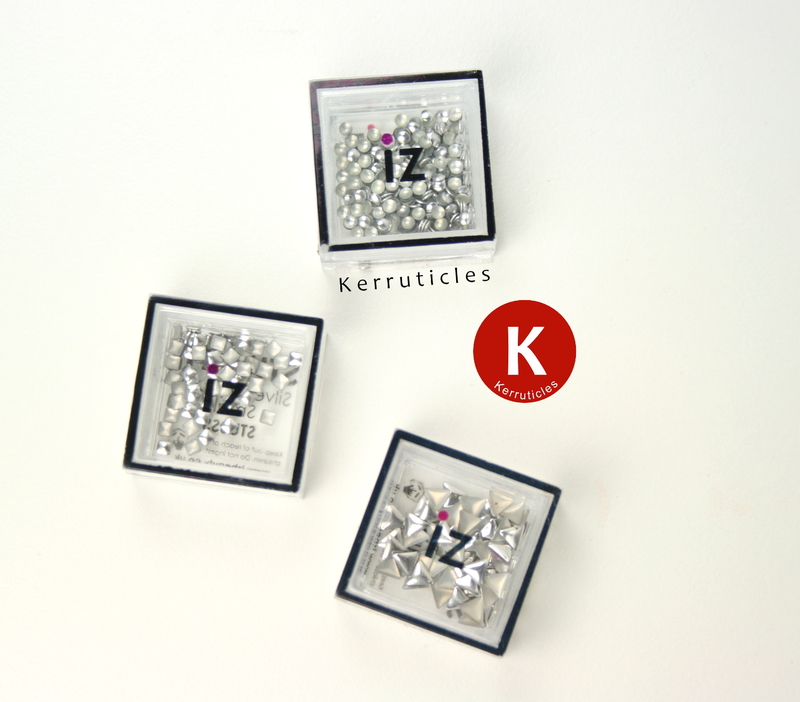 The silver triangular studs are from IZ Beauty, a new nail art supply store. 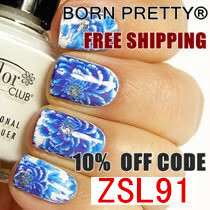 They sell a range of items, like nail art tools, studs, rhinestones, nail art pens, nail wraps and decals. On their Instagram account, I found a code for 20% off. Just use SHOP20. I have three of the silver studs: triangular, small circles and and small square. They come beautifully presented in cute little square boxes, branded with the IZ Beauty identity. 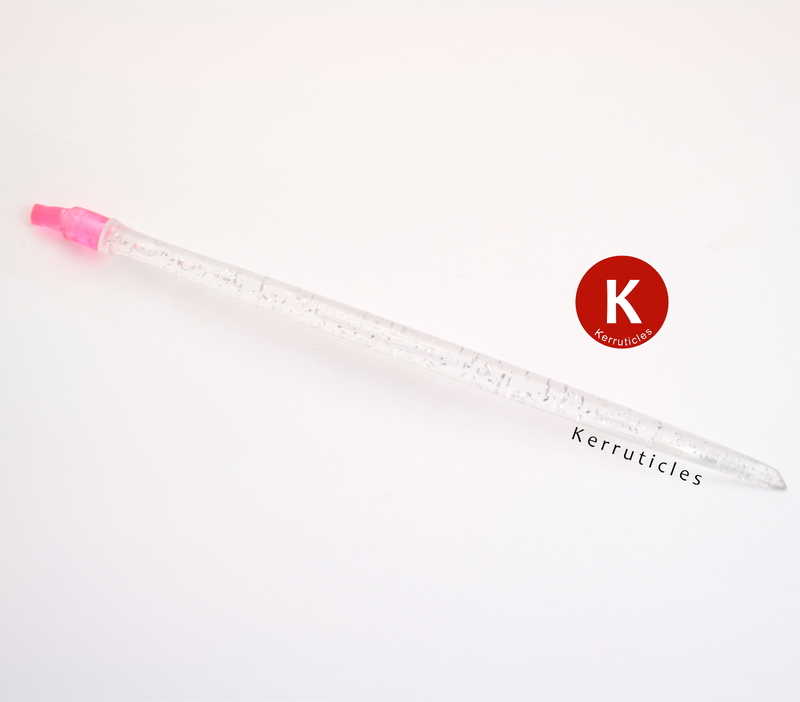 I also have one of the nail art tools, the gem dotter, which is a plastic tool with a rubberized end. I found it great for selecting and picking up the studs, and then placing them on the nail. The studs and gem dotter shown in this post were sent to me for review. All views expressed in this post are my own, honest and unbiased opinions. The manicure looks great! Those silver triangle nail studs work well in it too.